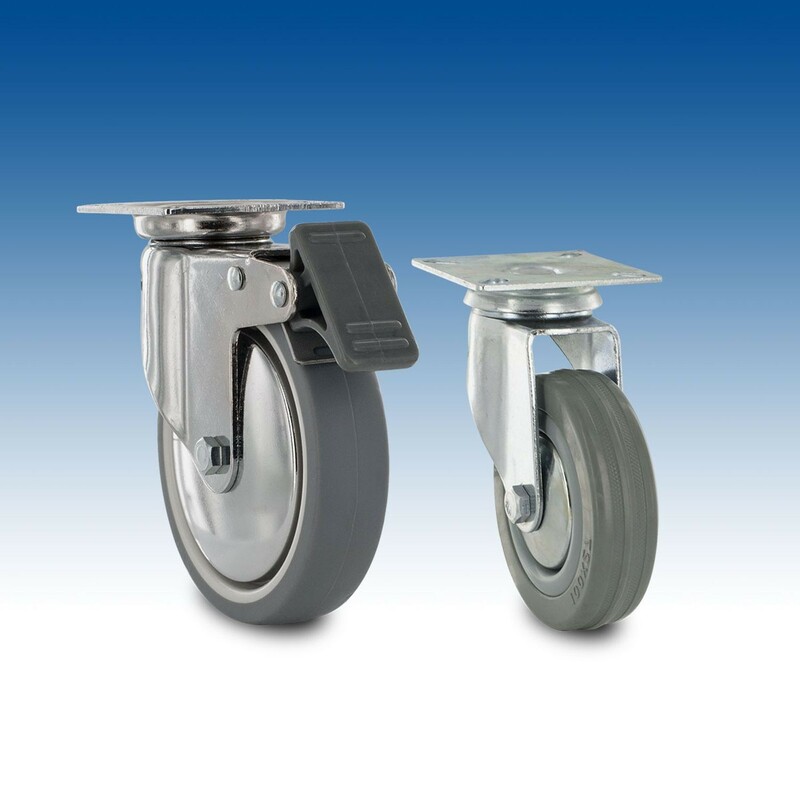 Our super series, locking ball casters are also available with a total locking brake which provides extra security and safety, and won’t let any heavy equipment or displays roll around. Outwater stocks the super series casters in both New Jersey and Arizona in order to provide faster and more cost-effective shipping and delivery for all of our customers. These casters are available with swivel and top plate mounting and offer a range of mounting heights as well. If you cannot find the caster that meets your needs, contact our friendly sales department for information on other caster options. Top Plate 2-15/16" x 2-15/16"
Top Plate 2-3/8" x 2-3/8"
Top Plate 2-9/16" x 2-9/16"